Vanguard Students is a place for 6th-12th grade students to belong and grow. We exists to love students into a real relationship with Jesus and help them grow in their relationship with each other. Vanguard Central hosts a service designed for 6th through 12th graders with a lot of fun, amazing live worship and engaging Bible-based teaching. We strive to create an enviroment where students can be known and know others. Who are your people? We know it’s important to be connected, but it’s hard to build lasting friendships. What if taking one simple step changed everything? Join a Life Group to grow closer to Jesus and others. Wednesday at Central 6th through 12th. We host multiple groups split by grade and gender. If you have any questions please contact hello@vanguardstudents.org. Various Times. High School Girls Group meets Saturdays at 11:00am. 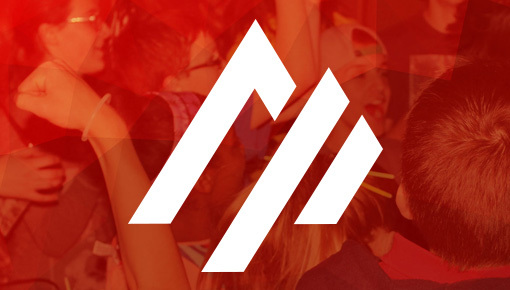 Middle School Group meetings Sundays during 9:00am service. If you have any questions please contact palmerlake@vanguardstudents.org. *We currently don’t host student life groups at our Briargate location. Those students join Central on Wednesdays. Vanguard Students hosts multiple events throughout the year to help students grow closer to Jesus and to others. We would love to have your student join us at our next event. 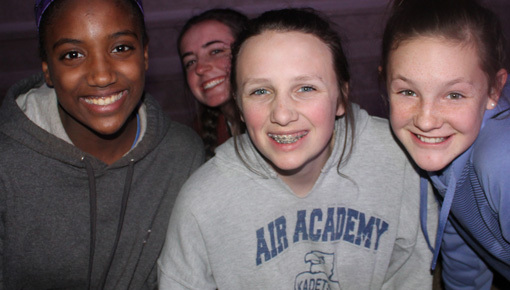 This retreat is hosted up in the mountains at a retreat center for 6th through 12th grade students. It is a time to get away from the busyness to connect with Jesus and friends. 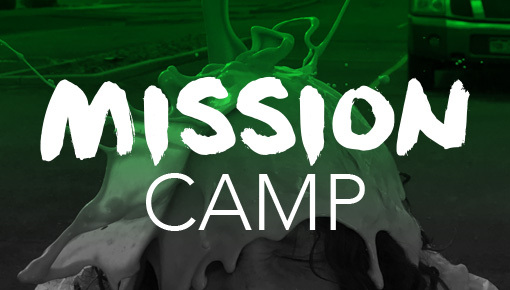 Mission Camp, which is half mission trip and half camp experience. Giving students the opportunity to be the hands and feet of Jesus in a safe environment. These trips typically happen within a one days drive from Colorado Springs. Mission Camp, which is half mission trip and half camp experience. Giving students the opportunity to be the hands and feet of Jesus in a safe environment. These trips typically happen in Colorado Springs. Mission Camp, which is half mission trip and half camp experience. Giving students the opportunity to be the hands and feet of Jesus in a safe environment. These trips typically happen within a one day drive from Colorado Springs. Any student in 6th through 12th grade can attend our programming. Who is leading my child? All Student staff and volunteers are nationally and locally background checked and trained. Majority of the student team have served with students for more than 5 years. Short answer, nope! We welcome everyone. We unashamedly preach and teach Jesus, but we try hard to create an environment where everyone can belong at Students. Safety is our priority at Vanguard Students. The only adults allowed to attend are volunteers who have an approved background check. We welcome parents to serve as Student volunteers if you are interested in sharing the Student experience with your student.